What an amazing trip we had, backpacking with our little guy for the first time. We decided to go up Brandywine meadows which was a hike I had done a year prior. 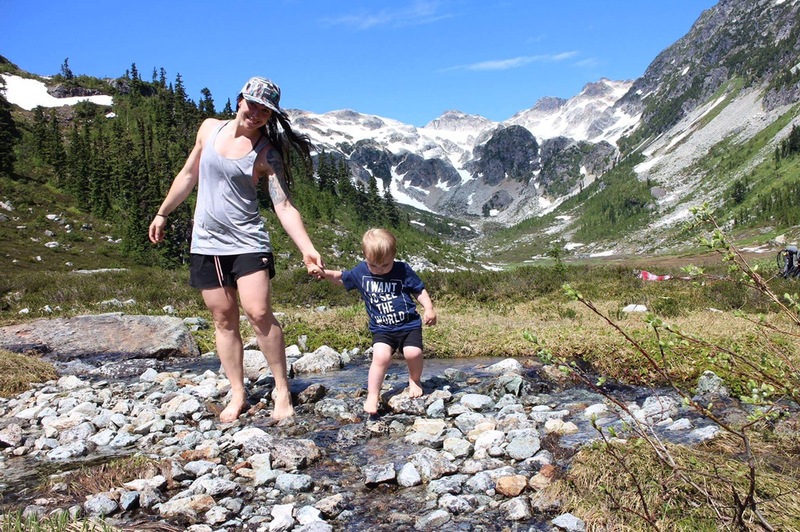 It was about 4 km hike with some but really minor elevation, as our first backpacking experience with Jackson, we wanted to keep it close to home and not too deep into the backcountry. 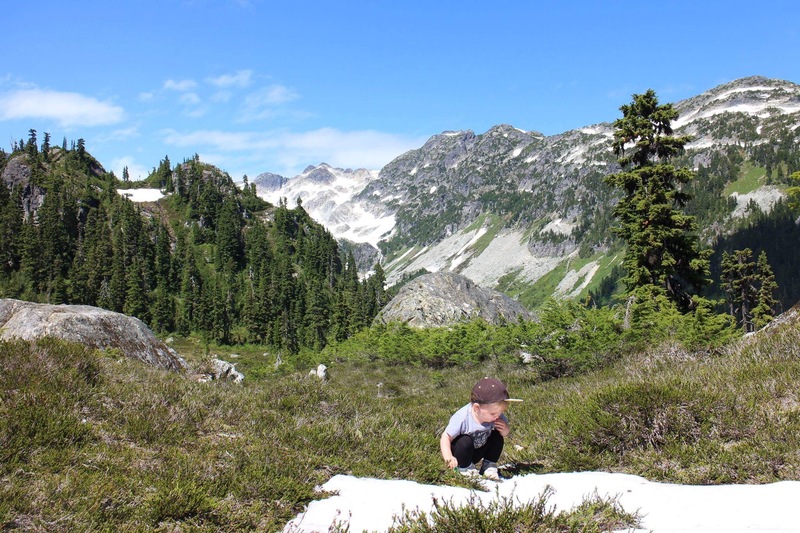 The best thing about hiking with a young child is it makes you slow down and enjoy every little things along the way. It’s not about the destination its about the journey and learn to appreciate nature in all it’s forms. The beautiful view we had once we got into the meadows was breath taking. The alpine flowers were out as bright as can be, the creeks were full blast and the birds were singing. It was exactly what we were looking for, we wanted a place to go to disconnect… disconnect to better connect with nature and ourselves. 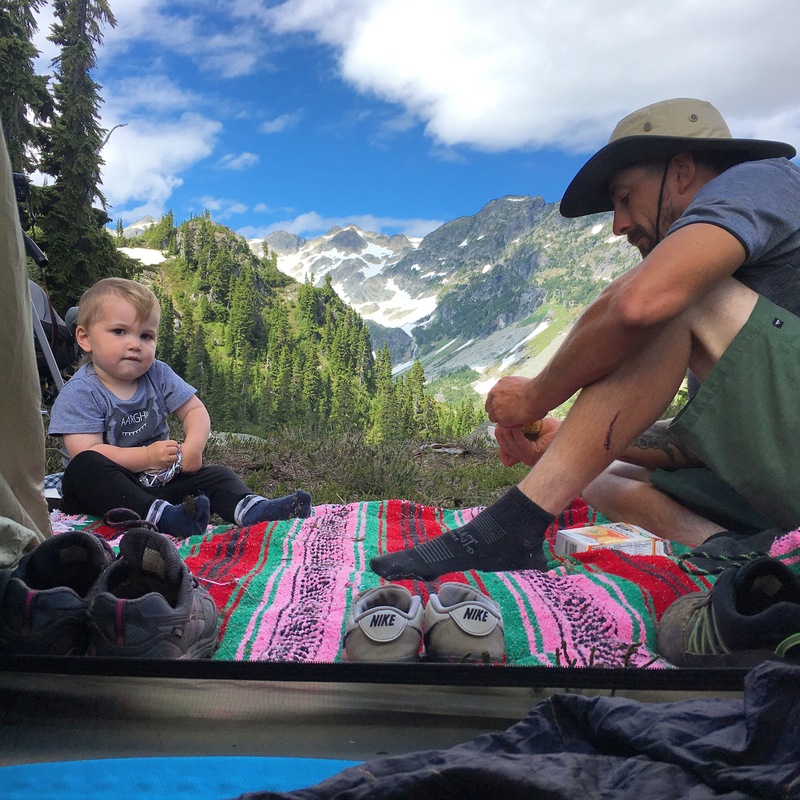 There’s nowhere better than out in the backcountry to truly connect with your family. The bonds that we get out there is magical, there is no one but the three of us up here. We found our perfect campsite where we’re gonna stay the night, the 360 view of the mountains was stunning. That smile Jackson has anytime we’re out in nature and he gets to run around and explore the surroundings is worth a million dollars. He is having so much fun out there, and it makes me so proud to see how interested he is in the outdoor. 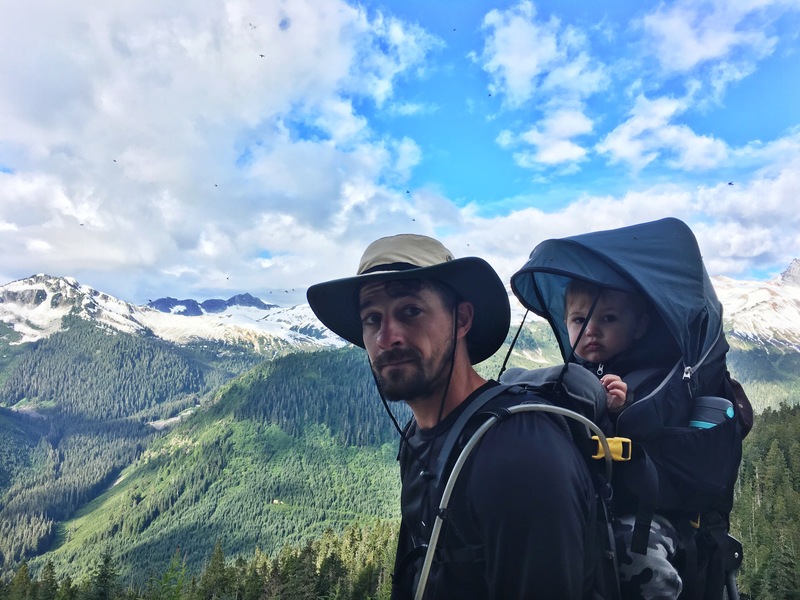 Carrier: Since Jackson is still young and couldn’t walk all the way up on his own, One of us was carrying him in our Deuter child carrier. Its important to have a good carrier, it needs to be comfortable for the child and also the person who will be carrying him all the way up. It’s also nice to have lots of storage in the carrier so the other person is not stuck carrying everything else we had to bring. Gear: Having light weight gear is not a must but is really helpful for long hikes. We had a one person tent where we snuggled in the 3 of us, sleeping bags with compressor bags to make them as small as possible and lightweight kitchen supplies. Clothing: It’s important to wear comfortable hiking clothes and footwear, there’s nothing worse than a blister on the way up. (in case of blisters, always bring band aids or tape, it will save your day) You want to bring change of clothes that are also light weight and quick to dry, Some warmer clothes as well since the nights can get quite cold up in the alpine. And for the kids, always pack a bit more, they tend to want to jump in mud and in water, I’m glad we had a couple change of clothes for Jackson since he got quite wet and dirty and we used up every piece of clothes we had for him. Safety gear: When you are out in nature, anything can happen, it’s unlikely but it’s better to be prepared. I always like to bring a bear spray in case of wild life encounters, a first aid kit, a Whistle and an emergency blanket. Mosquito: We were not expecting as many flies and mosquito’s up there… I’ve got to say that we were a bit unprepared on this part. The snow had just melted up there so it was really swampy, which is mosquito heaven. 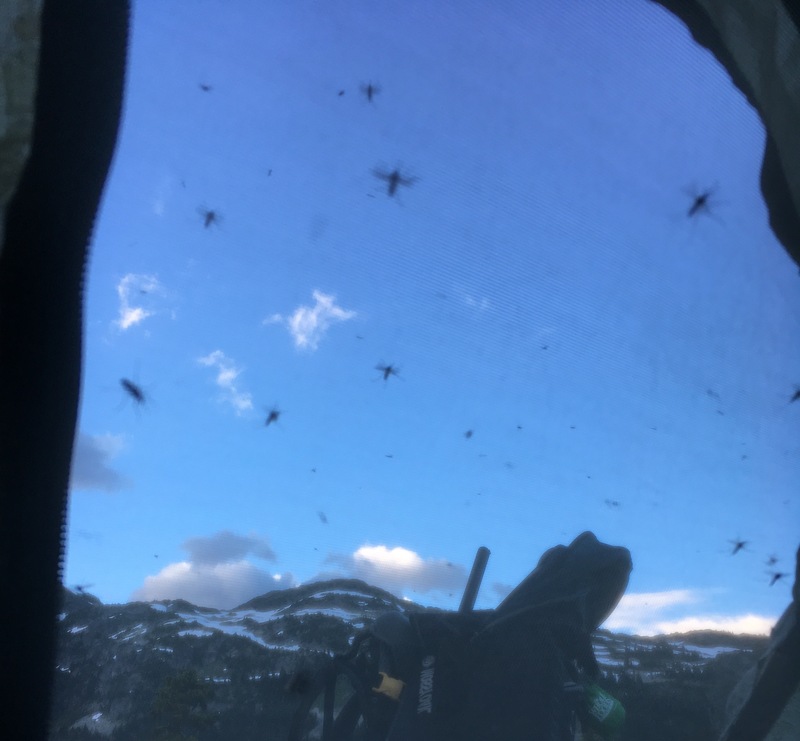 I always bring an outdoor essential oil when were out camping, which is a blend of lemongrass and lavender, it usually works well but those flies sure didn’t care about that smell and kept on harassing us. Next time, we will each have one of those mosquito head net. Food: Snacks, snacks, snacks, bring lots of snacks, especially with kids, it seems to always makes them happy when there starting to have a break down. Some examples of healthy and filling snacks are: Dehydrated fruits, nuts and seeds, I also like to bring crackers, cheese and hummus, Hard boiled eggs and peanut butter sandwich are some good proteins sources and give you energy. For a light weight but filling breakfast, we like to have Oatmeal mixed with super food like hemp seeds, chia seeds and dried fruits. Dinners will vary on every camping trip, but it’s often some kind of pasta with vegetables, nice and easy. 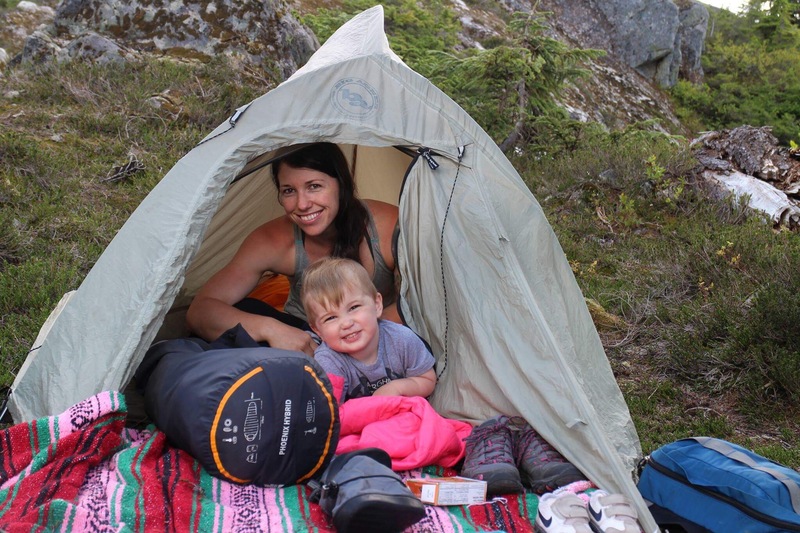 I hope this post gave you more confidence about going out in the backcountry for a camping trip with you’re family. It’s an adventure, one of a kind and one you will remember forever.